What is type 3 diabetes? We all know there are two main types of diabetes, Type 1 and Type 2. There is also the transient gestational diabetes which only affects women during pregnancy. But now diabetes is being linked with Alzheimer’s and it’s being called type 3. Are you at risk? The path to diabetes is a complex and often long one. Many people start on the road to this disease from an early age. Whilst we’re young, our bodies can mostly compensate and cope with the stupidity of consuming rubbish food with a vengeance, regularly bingeing on alcohol and sodas, smoking and using recreational drugs and taking in a plethora of poisons and toxins. Now take a look at this 2 minute video. Normal living conditions are bad enough! It’s bad enough that we have to contend with environmental hazards and harmful chemicals that we have no control over. But to then make it even worse by further abusing our bodies with added burdens of contaminating foods and drink is witless! After all, we do have a certain amount of control over what we put into our bodies. Problem is, when we’re young, we think we’re immortal. Another difficulty is the mindset of the human race as a whole. We’re definitely a very clever species, but we’re certainly not too intelligent! It will catch up with you. So here you are, in your prime, not long out of college and rearing to go. Your whole life ahead of you and you’re determined to enjoy every minute of it. No matter about your diet or lifestyle, as long as a good time is had by all. You turn around and suddenly you’re 30 with a spouse and a couple of kids. The youngsters are growing up fast. Right from weaning, they’ve had your lifestyle. Then there’s the TV ads. What’s worse is that we are all bombarded with continual adverts on TV from the food companies about a super chocolatey cereal or a delicious sugar free drink or a scrumptious pudding. The kids will harrass you relentlessly until you succumb and buy the rubbish food for them. What are the kids up to? 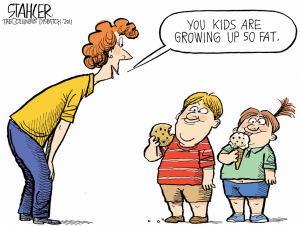 So already your children have started to consume the same diet as you. They eat the same food you do, they drink the same sodas, juices, breakfast cereals etc. and other junk. They’ve probably started smoking unbeknown to you. They observe your habits, hopefully you’ve now stopped smoking cigarettes. How about the drinking, have you moderated that. Whatever paradigms you have, your children will likely have them too and they will pass these paradigms on to their offspring. 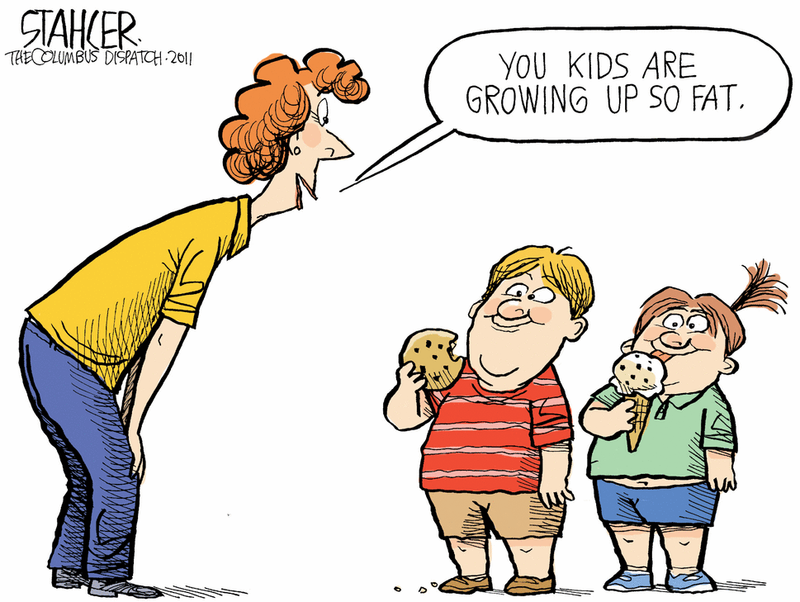 (Today, about one in three American kids and teens are overweight or obese). The children have grown up now and they’re having children of their own and before long you’re a grandparent. How’s your health? Still eating junk food, smoking and drinking sodas and excess alcohol? What about exercise, are you keeping fit? 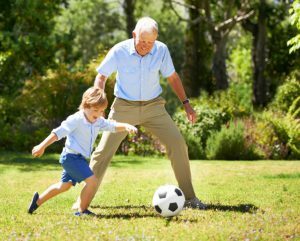 Can you keep up with your grandkids when they want you to play football, tennis or other physical activities? What about your weight? A little on the heavy side? So here you are at 50. How are you? Hopefully you’re one of the lucky ones who, despite mistreating your body continually most of your life, are still well and feel great. Unfortunately, this is not the usual outcome. Perhaps you did amend your habits earlier on when the kids were young. Hopefully, you have a wholesome healthy diet, use necessary good quality supplements, exercise and take steps to keep your stress levels down. If you did change then probably you are feeling fine. You’re not on any prescription drugs, your energy levels are high, your blood pressure is normal, you’re not too overweight. If so, I would like to congratulate you for coming through, despite the odds. Do you still have those bad habits? For those who have kept the bad habits until now, there’s a good chance you’re not always feeling well. You may be in the stage of diabesity. If you have been thirty pounds or more overweight for a decade or so, then this is the classification you’re in. It means that you are likely to get type 2 diabetes. The good news is, you can change this state of affairs by doing all the right stuff. It’s easy to change your life! Change your diet to good fresh foods, including healthy fats like coconut oil and extra virgin olive oil. Kick the sodas to the kerb and keep away from artificial sweeteners like aspartame. Moderate your drinking habits to no more than 14 units a week. Take a good quality Magnesium (Mg) supplement. Try and get 7 – 8 hours sleep. So what will happen if you keep on the same old track of junk food, no exercise, drinking to excess, smoking, burning the candle at both ends and being under stress much of the time? 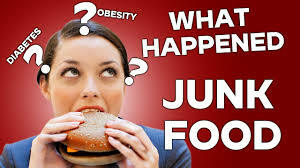 As a consequence of having long term nutrional deficiencies, from eating junk food and drinking diet sodas, plus all the other bad choices you’ve made, your body will succumb. You will be Mg deficient! Because of these debilitating habits, the first thing you will be is Mg deficient. You will also have all or some of the symptoms of a Mg deficiency which includes being overweight, having high cholesterol, high blood pressure, high triglycerides and elevated uric acid. You may suffer heart arrhythmias, angina, digestive problems, headaches and more. These conditions are most often caused by a poor quality high sugar diet. 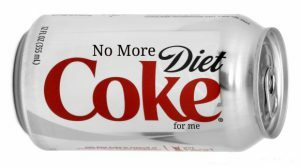 Sodas, cakes, pastries, biscuits, artificial sweeteners like aspartame and everything that’s junk with little or no nutrition. Your body doesn’t want it but it gets it just the same, on a daily basis. Something’s got to give and it will! Nerve damage which affects the feet mostly. Symptoms are tingling, numbness, burning sensations and pain. Cardiovascular diseases such as atherosclerosis, heart attack and stroke. Kidney disease, including kidney stones. Damage to vessels in the eyes causing loss of vision. Diabetes is the leading cause of blindness in the US. Diabetic foot ulcers which are vulnerable to infections causing gangrene and often necessary amputation. Nearly 70% of the population of the US are overweight and this means a pre-diabetic state which is, in fact, the early stages of diabesity. This means you have serious risks of developing disease and shortening your life. This does not just mean overweight people. Those who are not overweight, can also be at risk. These people, despite being a normal weight, carry much of their size around their middle. 3 of the largest studies ever done. The Harvard Nurses’ Health Study of 85,000 women. The Health Professionals Follow-up Study of 43,000 men. The Iowa Women’s Health Study of 40,000 women. All three studies showed that those people with the highest amounts of Mg intake had the lowest risk for developing diabetes. I want to add that the figures that estimate how many people have a magnesium deficiency are based on those that have had a ‘serum magnesium test’. This commonly used test is highly inaccurate and will often give a ‘false positive’. In other words, more people will be Mg deficient than the test will show. Most of the conditions mentioned in this article can develop if you are Mg deficient. Type 2 diabetes is an insulin resistance. The pancreas releases insulin, the insulin binds to a cell receptor which then stimulates a protein within the cell, allowing glucose to enter the cell membrane. If the receptors don’t work then insulin builds up as does the glucose which is actually toxic to the body unless taken into the cell. 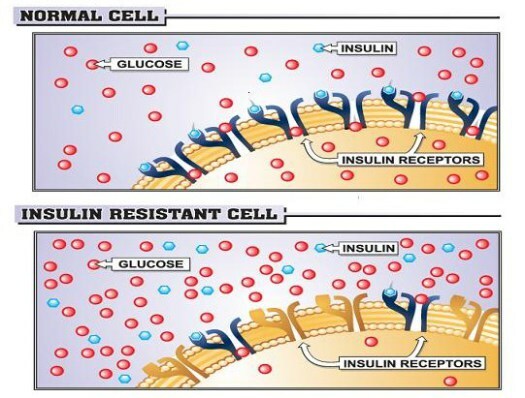 Mg is required to activate the ‘on/off’ switch which allows insulin receptors to function. Our modern foods are low in Mg because of agricultural practices using fertilizers and pesticides which have stripped the soils of basic nutrients. Foods are fortified with Calcium (Ca) without balancing with Mg, which means many of us, especially women, are overloaded with this ‘star’ mineral. This makes the Mg deficiency even worse because Mg is necessary to control Ca. Our bodies are being calcified as we grow older because Ca is too abundant and gets laid down in soft tissue. This is one of the prime causes of atherosclerosis and other calcifications and a precursor to heart disease. 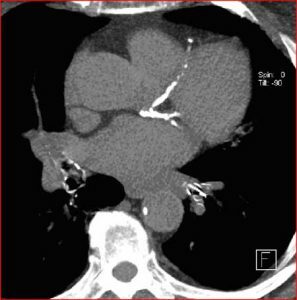 This image shows calacification within the arteries of the heart. Mg and Ca intake should be in balance with a 1:1 ratio. Is Alzheimer’s disease “type 3 diabetes”? When all’s said and done, it doesn’t really matter what the medical professionals call this condition, Alzheimer’s or type 3 diabetes. What matters is will you develop these life threatening conditions. What are you going to do about it. How will you reduce your risk of becoming a statistic? 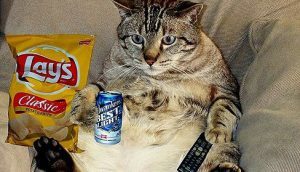 Don’t be a couch potato! Come on, get off the sofa, turn off the telly and go for a walk. Take the dog out. Take the grandkids to the park. Go to the beach and walk along the sand in your bare feet. Go for a picnic and take some healthy food with you. Get some exercise and don’t be a couch potato. There’s more to life than languishing indoors. Do something positive for you and your family’s health and change all those bad habits to healthy ones, for your sake and for your loved ones. It will give you energy, it will lighten your mood, it will help stabilize your blood pressure, it will reduce angina and arrhythmias. It will enable transfer of glucose into cells. You cannot make or secrete insulin without it. Mg keeps Ca soluble in the bloodstream. If you already know you have a Ca burden after a Coronary Calcium Scan, take vitamin K2 along with your Mg. This will help direct that rogue Ca back into the bones where it belongs. I welcome comments and I’m interested to hear your input. Try Mg for yourself, there’s nothing to lose. Remember this alkaline metal is absolutely vital for your continued health and is completely harmless. This is NOT a drug, it is a natural nutrient that your body needs as much as you need water! Endocr Rev. 2008 Jun; 29(4): 494–511. Suzanne M. de la Monte, M.D., M.P.H. and Jack R. Wands, M.D. J Diabetes Sci Technol. 2008 Nov; 2(6): 1101–1113. What is type 3 diabetes? We know there are two main types, But now diabetes is being linked with Alzheimer's and it's called type 3! Are you at risk? Hi there Leah and thanks for your input. I’m really pleased you read this post because it may be the push you needed to sort out your niggles which can be caused by low levels of magnesium. Foods with high magnesium will give you an idea of those foods that have the most Mg in them. Remember though, that our soils are depleted in many nutrients, Mg being worst hit and a good quality Mg supplement is always the way forward in this day and age. My choice of supplement is Magnesium Chloride Make sure you take it throughout the day and not in large doses. I take mine in a litre jug of water and take a mouthful or two as I walk by. Taking too large a dose at once will have a laxative effect. I take 600mg+ depending on my stress levels. 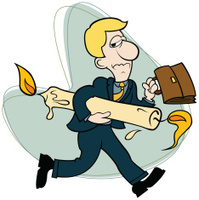 Stress is the biggest depleter of Mg and we’re all under a great deal of stress in these modern times. Good luck to you and I’m sure your niggles and other problems are kicked to the kerb in double quick time!! 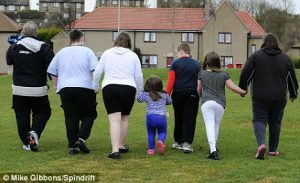 What are great article which has really made me think about lifestyle choices and the implications. I have been and still am a tad overweight due to having to take steroids for an auto immune disease that attacks my eye . Uveitis. I am currently adapting lifestyle to reverse the effects of steroids now they have been out of my system for a year. Steroids make your body forget how to work especially metabolism and I think after reading your article that magnesium may help in the next stage of getting my body back on track. Hi Karen and thanks for reading the article. Yes, steroids should only be taken very short term, if not at all and many suffer side effects from these serious drugs. Medics always seem to treat the symptoms and never go to the root cause of a condition. Problems start at the cellular level, all problems. Mg is necessary for ATP (adenosine triphosphate) production, our energy packets made within our mitochondria, the energy factories in our cells. Without enough of it, energy levels suffer and you WILL succumb in the end to a variety of problems. This is just one part of Mg’s vital activity within the body. Look at this long list of symptoms when Mg is depleted and get yourself a good quality Mg supplement. I and hubby take a Magnesium Chloride solution which we put in water and drink throughout our day. I have 600mg+ per day, depending on my stress levels and daily tasks. ReMag is one of the best Mg supplements out there. It’s very expensive in the UK but more affordable in the US. Ionic Magnesium is another good make. As a sufferer of Type 2 Diabetes, over 60 and on medication your article is an real eye opener. I have been trying to get my numbers down through diet but it is difficult. I was unaware of the effect that magnesium could have so I am going to look at adding this to my diet. When we are young, we think we are invincible and immune to getting sick, or frail and that our bodies can handle the junk we put in.Sad thing is, as you said, that’s when we are actually starting to do harm to our bodies. I would not say that I am young, going to be 40 next year, but this article is a real wake-up call for me.I got to start cracking in getting into an exercise routine.I think though, you will be be proud of me as I have been taking Mg for just over a month and I feel a difference. I would definitely recommend Mg for your readers.Boy, Type 3 diabetes, I really don’t want to end up there..
Hey Roopesh, thanks for the positive comment and input. You’re right I’m very proud of you for taking control and having Mg has part of your health regime. You’ve felt the difference too and that’s great. So many are not in tune with their bodies and although Mg will make a change, even if it’s just being less depressed or lacking in headaches etc., they don’t realize or think that it’s the Mg.
Wow, I learned a lot of useful information. Very informative and entertaining. I actually enjoyed reading your page, Flows very well from section / topic to the next and ties it all together. I hope my writing style can one day compare. I really like how each section has it’s own relevant media (picture). I’m still early in the learning process and you have hit every hot button I am learning about right now and then some I’m sure. Thank you. I’ve leaned a lot, not just from the read. Wow, I learned a lot about diabetes. This was very well written. A lot of good advice, especially when I think about all the bad habits I have that you mentioned. Seeing as I would not like to end up with type 3 diabetes I will be sure to take heed and start living a healthier lifestyle as you said. Thanks Joeka for your comment and input. Hi! A very informative article you have here. Great layout and it is easy to read. My father got diabetes when he was 18 and my grandfather died from it a long time ago. I’m 36 now and still going strong. Hope I will stay clear, but you’ll never now. I especially liked your little list of 9 things to do to keep the risk down. Great advice. It’s too easy to treat yourself to sodas and junk food. Sure you can diet but then you can go back to your old ways. It would be good to see reminders about this so people can see what will happen. I’m sure with a sugar tax that this would go some way to help fix the problem. I knew that there is a lot of people overweight in the US, but nearly 70% is alarming. Unless something is done then I would expect this number to rise. I do so agree with you about Mg deficiency, I myself did some research in the past and was stunned how important this supplement is. 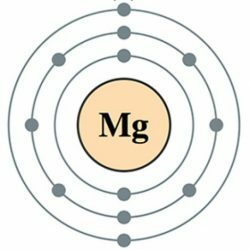 I also at first didn’t know that Magnesium goes both ways being a mineral as well an electrolyte. I have put my husband and myself on a Magnesium supplement for months now and I see positive changes already. Wow, I didn’t know that if we have Magnesium deficiency it will caused us so much health problem. When talking about supplement, we tend to think of only Vitamin C as the major one. Now I know the importance of Magnesium as a good contributor towards our good health.I wish that more people would be made aware of this deficiency so that they will start taking Magnesium too.